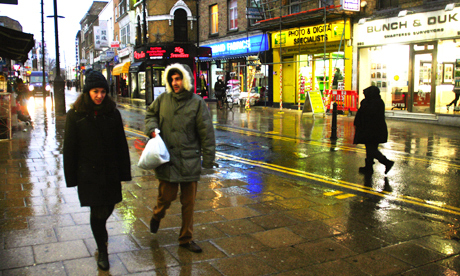 A £2m fund secured by the council to help properties and businesses damaged in the 2011 riots is being used to the detriment of the area, according to traders on one of Hackney’s oldest shopping streets. Businesses on Mare Street and the Narroway are questioning why £1.5m of the fund is being spent on building a new up-market fashion hub on their doorstep and not on helping the existing businesses in the area. As well as the riots fund, the council negotiated a further £3.3m in a deal with Network Rail to make public realm improvements to Hackney Central and, specifically, the area in and around Network Rail’s railway arches on Morning Lane – the site of the new fashion hub. However, traders said the planned £5.3m total spending will only have a degenerative effect by dragging footfall and trade from the Narroway. A group of affected shop owners, speaking to the Hackney Citizen on condition of anonymity, said local businesses had already held meetings to discuss the council’s use of the funds and ways of standing up for an area they feel has long been neglected. The remaining £0.5m of funding is for shop front improvements which can be bid for through the council, but require match-funding – described as “usual practice for major grants bids”. “The council are asking for those struggling shopkeepers to contribute to the costs but a lot of businesses can’t afford it,” said the same owner. Hackney Council said they formally applied to the Government for stronger powers to control the concentration of betting shops in the borough through the Sustainable Communities Act in August 2009. Aside from the proliferation of betting shops and pawnbrokers, the owners said the lack of adequate street lighting on the Narroway was having a negative impact both socially and financially, and that it was an issue previously raised with the council. The twelve railway arches set to house the new retail hub on nearby Morning Lane have been vacated of all their previous indigenous businesses (mainly car mechanics and machinists). It is expected the arches’ owners Network Rail, acting in partnership with the council, will attract big name retailers who will join the area’s existing up-market residents of Burberry, Pringle and Aquascutum. The creation of up to 200 jobs is predicted and the council have said that all of these will be advertised through a council-run scheme, to ensure employment goes to local residents. However, commenting on a previous Hackney Citizen article on the retail development, local resident, Luke Muziwa, said: “Those very arches were occupied by hard working people who provided valid services to the residents of Hackney for over 20 years. That commercial landlords are preparing for a cash windfall was confirmed by reports of one building owner who, when advertising the sale of a property on Morning Lane, described the surrounding area as a “soon to be East London Carnaby Street”. However, traders on the Narroway have said the fashion hub will be no more than a “gated retail complex” that takes advantage of the geography of the area without improving it or integrating with it. Sharing his fellow trader’s concerns, Pawan Chawla, the owner of the Narroway’s Designer Baby Ltd store, said businesses were calling on the council for practical support – such as reducing business rates for a time – to help keep their “heads above water”. Mr Chawla said: “We were affected by the riots. The fashion hub is a new development and the money is being spent on this new development when it was supposed to help us.